Given that the samosas came so highly recommended, we decided to fancy it up a little and sample the Samosa Chaat. 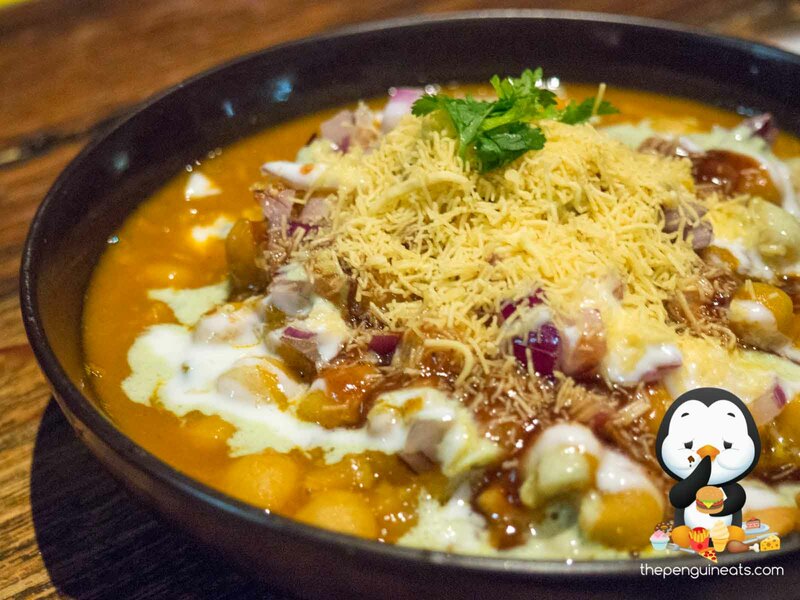 With a broken-up and crispy samosa hidden underneath, the chaat was loaded with a variety of chutney, onions, tomato and coriander. 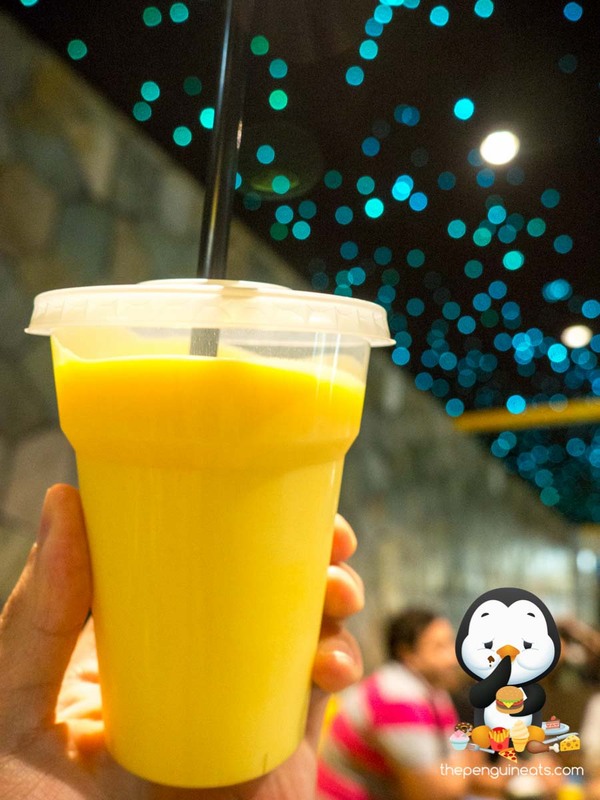 With an abundance of light yet aromatic yoghurt poured on top, the flavours were intricate and rather complimentary. The soft textures of the sauces and chickpeas nicely contrasted the coarseness of the samosa. What a delicious start. 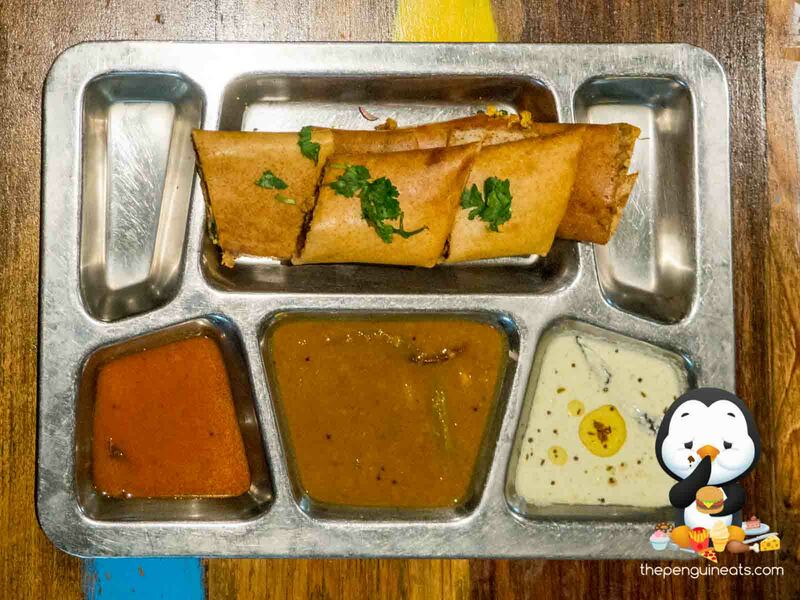 The Chef’s Special Dosa was the signature dish of Dosa Hut. 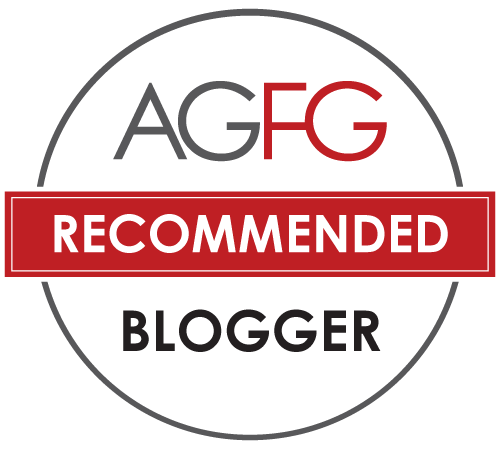 As a crepe-like pancake that’s made from fermented rice and black lentils, it was thin, delicate and pillowy soft without being flakey or crunchy. 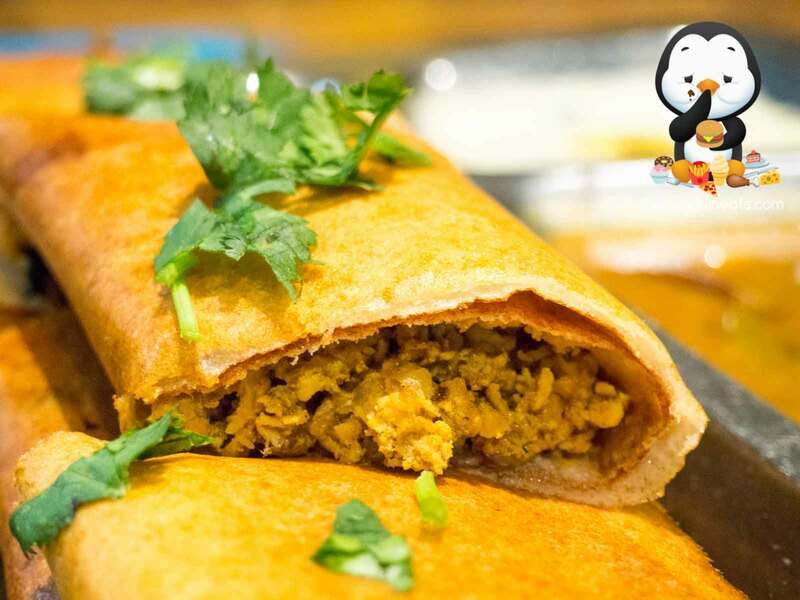 Within each piece of dosa, we found a variety of stuffings including chicken, egg, paneer and masala. 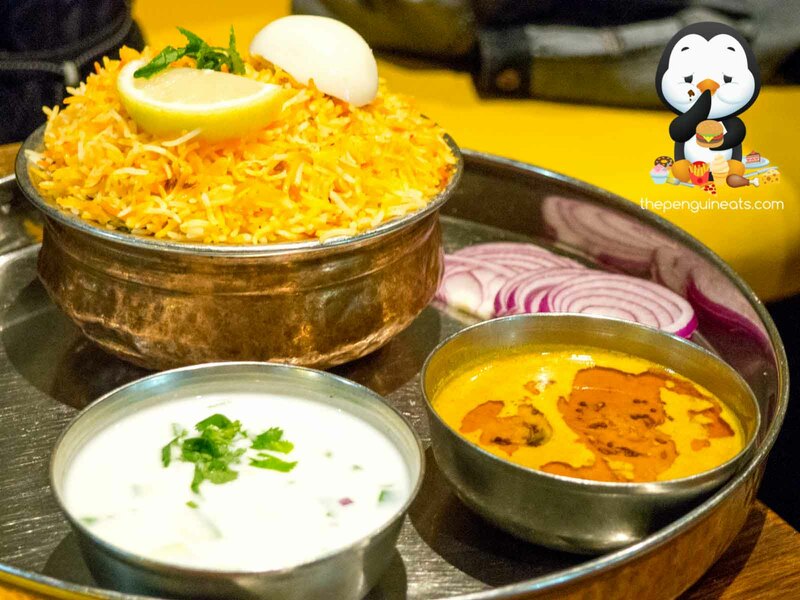 Our favourite of all being the paneer, which was appropriately spiced and exhibited light, fluffy and crumbly texture that was well complemented by the spicy curries served alongside. The chicken was also particularly flavoursome and enjoyable, with the protein exceptionally tender and well seasoned. 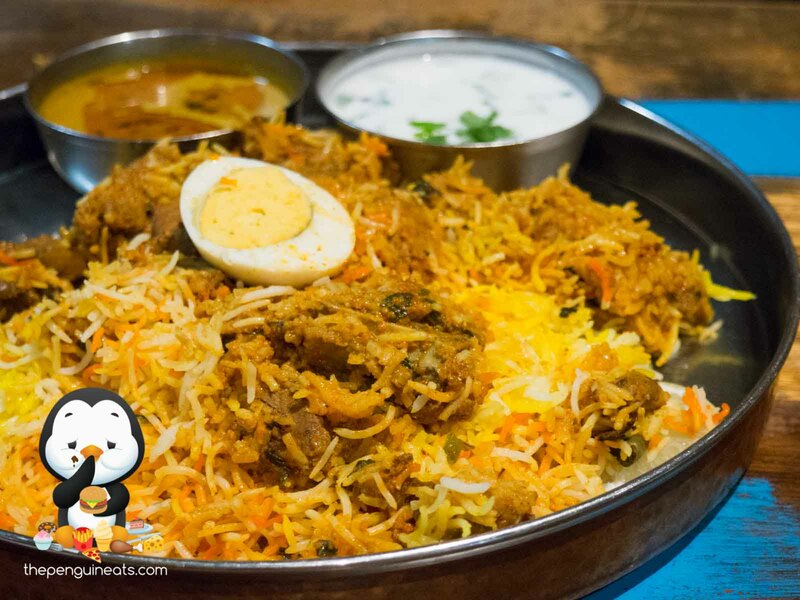 We also enjoyed the Hyderabdi Goat Dum Biryani. 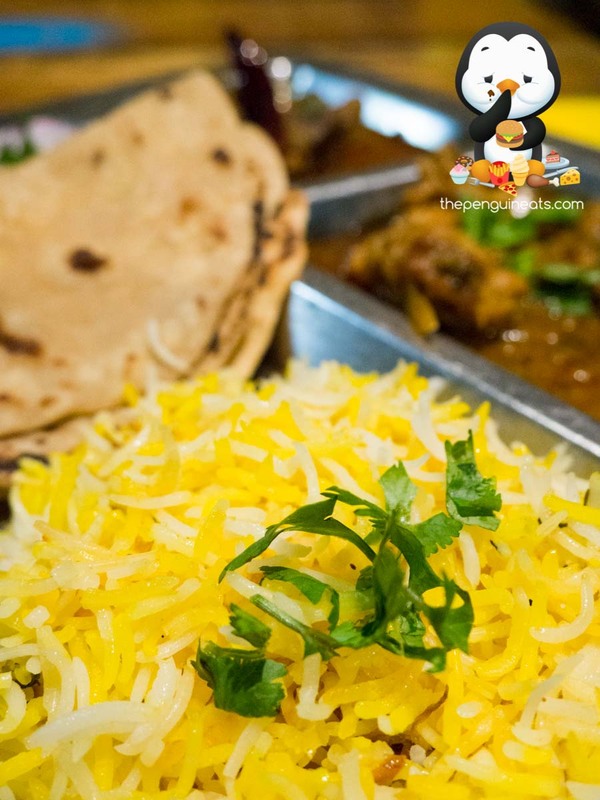 Dum is a method of cooking in which the rice is cooked only by the steam produced inside the cooking pot, creating very moist and tender fillings. Heavily spiced with an abundance of ginger, garlic, bayleaves, starainese and cardamom, the dish was exceptionally aromatic and unapologetically bold in flavour. 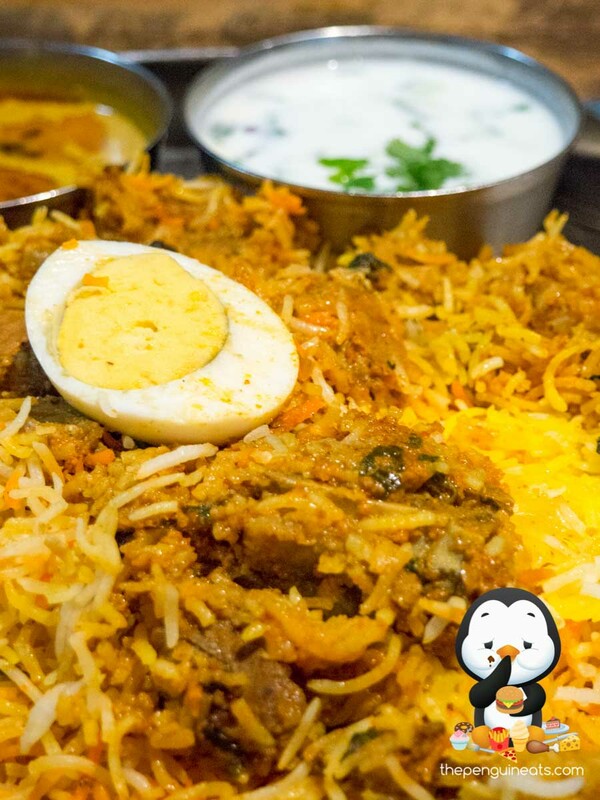 Hidden within the mountain of fluffy and fragrant basmati, we found some of the most tender and juicy chunks of goat meat that simply fell apart. This was served along with a light yoghurt and slices of raw onion to provide a refreshing twist to the dish. The most unassuming dish of all was the Combination Curry. 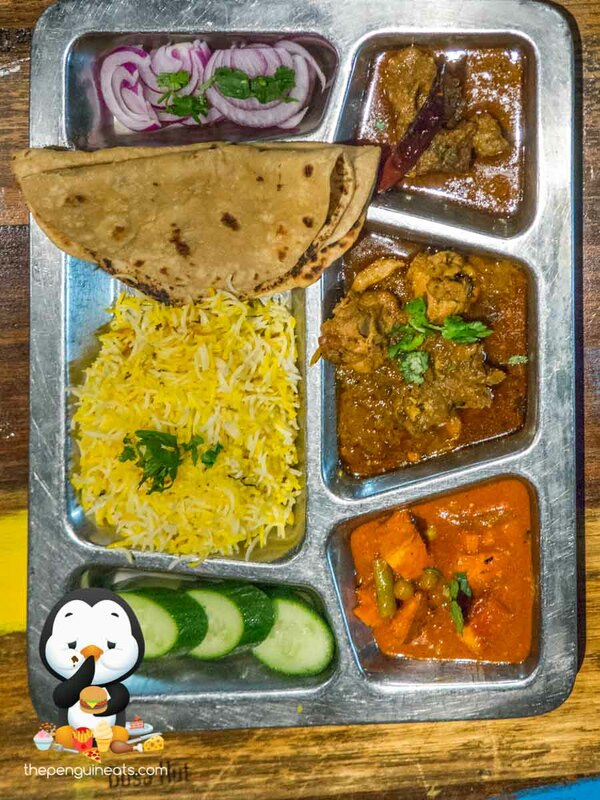 With a large variety of options on offer, we went wiht the Goat Curry, Chicken Curry and Paneer Curry, all served with basmati rice and unlimited, yes unlimited rotis. 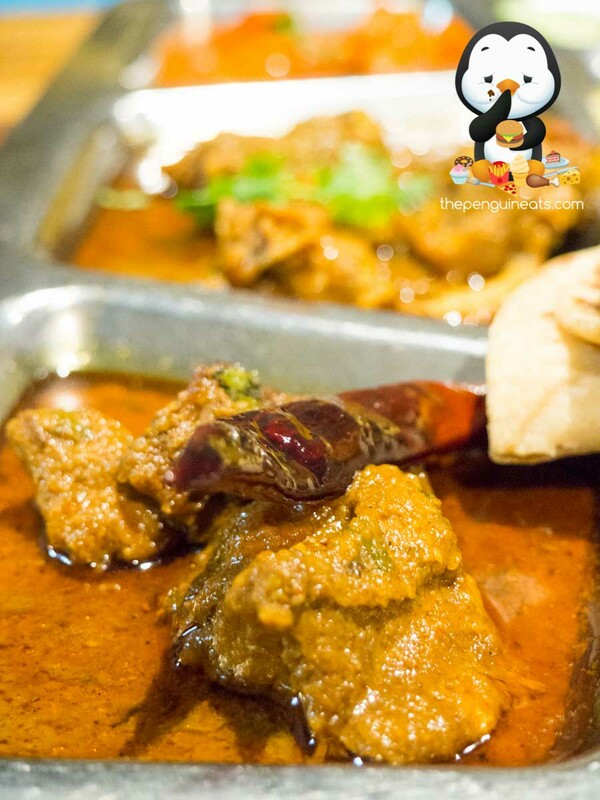 The goat curry quickly became the crowd favourite. Exceptionally tender, the goat was fragrant and the protein simply melted away in your mouth. This was coupled with a well-spiced, though not overly spicy curry sauce. Absolutely delectable. 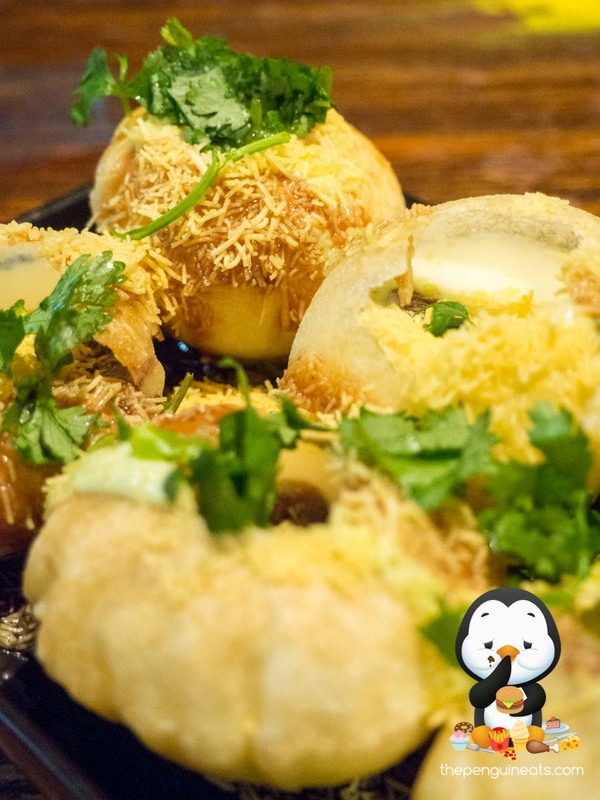 We felt that the weakest dish of our meal would be the Dahi Puri. 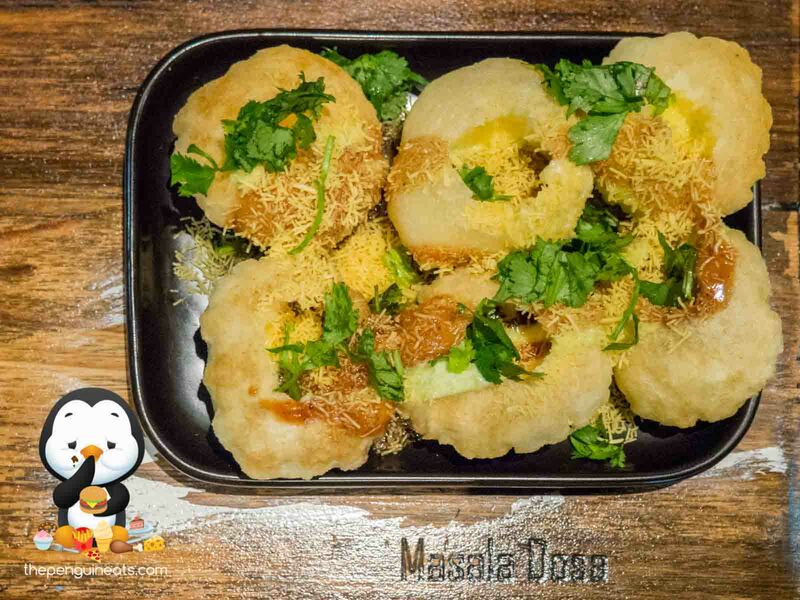 With an interesting presentation of a round, puffy puri shell that’s broken on top, the inner was filled with a stuffing of chickpeas, yoghurt and various flavours of chutney. Garnished with a variety of herbs, each mouthful was very fragrant though much too sweet for our palate. This certainly needed some savoury component to balance out the sweetness. 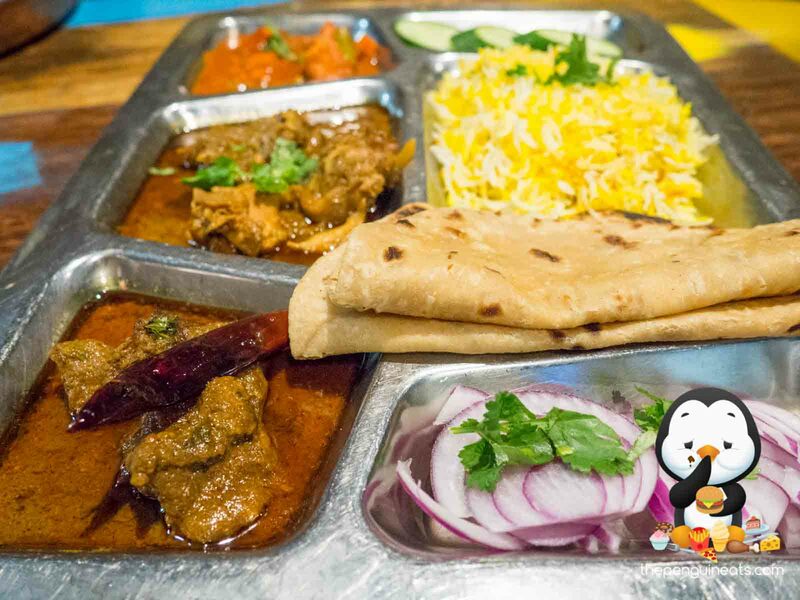 Far from the very pedestrian curries that most Indian joints serve up, Dosa Hut provides Melbourne a taste of the lesser-known, but arguably more delicious Southern Indian cuisine. Not only was the food executed to a high standard, but it was also satisfying and very affordable. 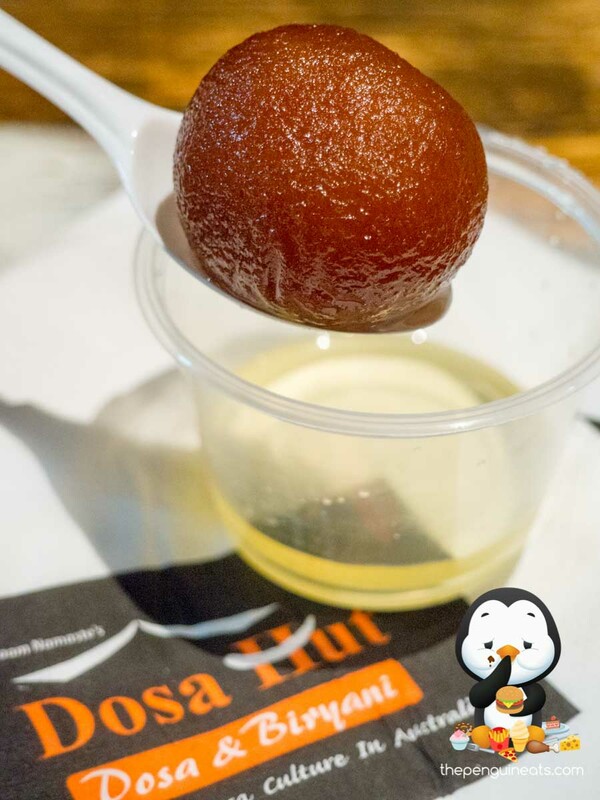 For anyone looking to excite their tastebuds, Dosa Hut is the place to visit to satisfy those cravings. Absolutely. 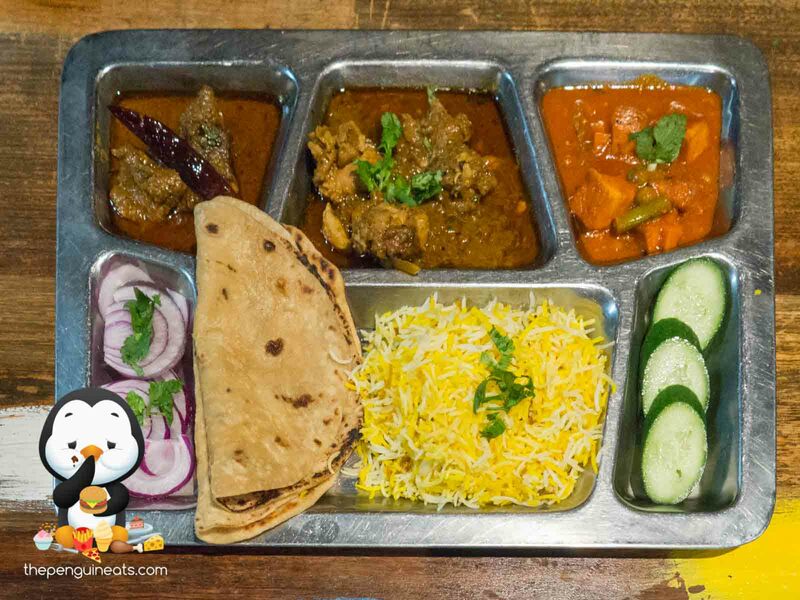 For off-the-beaten-track Indian food, I’d definitely recommend paying these guys a visit. 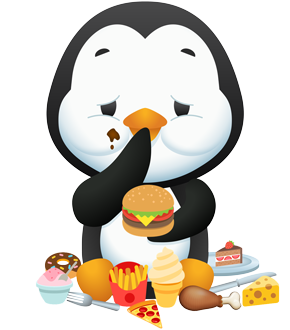 Penguineats would like to thank Dosa Hut Footscray for inviting us.